The Great Seal of the United States is a unique symbol of our country and national identity. 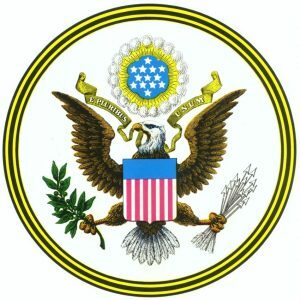 Only one authorized Great Seal is in official use and is operated by the U.S. Department of State. The Great Seal is impressed upon official documents such as treaties and commissions. The Department of State affixes about 3,000 seals to official documents yearly. The Founding Fathers wanted the Seal to reflect their beliefs that Providence blessed the new republic and that the United States would find a unique place among the nations of the world. By 1782, after six years and three committees, the Continental Congress approved a seal for the new nation. Charles Thomson, Secretary of the Continental Congress, created the design for the seal that Congress accepted in June 1782. He borrowed elements from previous designs to create a Seal that reflected the independence of the new nation. The United States government applied the Great Seal to treaties, presidential proclamations and many other documents as its involvement in international affairs grew. 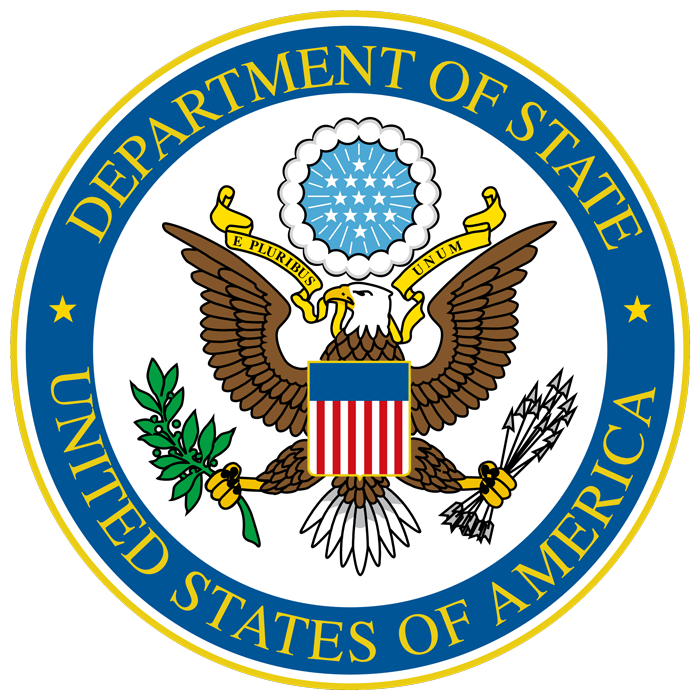 Over time, the Department of State made some adjustments to the original design. In 1986, the Bureau of Engraving and Printing produced a master for the present die and counter-die for all future Seals. The master follows the 1904 Seal that engraver Max Zeitler prepared for the firm Bailey Banks & Biddle of Philadelphia. The Great Seal of the United States symbolizes our country’s strength, unity, and independence. The olive branch and the arrows held in the eagle’s talons denote the power of peace and war. The eagle always casts its gaze toward the olive branch signifying that our nation desires to pursue peace but stands ready to defend itself. The shield, or escutcheon, is “born on the breast of an American Eagle without any other supporters to denote that the United States of America ought to rely on their own Virtue,” Thomson described in his original report. The Seal shares symbolism with the colors of the American flag. In addition, the number 13, denoting the 13 original States, is represented in the bundle of arrows, the stripes of the shield, and the stars of the constellation. The constellation of stars symbolizes a new nation taking its place among other sovereign states. The motto E Pluribus Unum, emblazoned across the scroll and clenched in the eagle’s beak, expresses the union of the 13 States. A major change affecting the Seal took place in 1789, shortly after the Constitution was ratified. Congress passed an act to rename the Department of Foreign Affairs to the Department of State, and assigned both foreign and domestic duties to it. As one of these duties, Congress transferred custody of the Seal from the Secretary of Congress to the new agency, which is why the State Department holds the Seal today. In 1790, Secretary of State Thomas Jefferson became the custodian of the Great Seal as the first Secretary of State. Even today, the President and Secretary of State must first sign any documents that are to be affixed with the Great Seal. The Great Seal links to an ancient tradition of guaranteeing and authenticating laws, treaties, ownership, rights, and secrets. Early American treaties solidified security and economic alliances that ensured the United States’ independence. Since 1782, the Great Seal has remained a recognizable symbol of sovereignty and a national treasure that represents the importance of diplomacy in the founding of our nation.